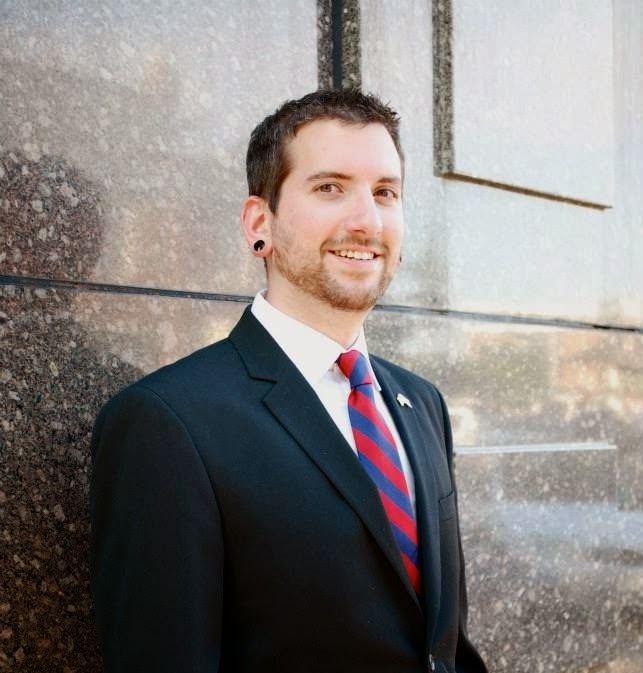 The first two City Council candidates to be featured are Axl David and Brian Patterson. Each candidate has provided their answers and thoughts on the questions I feel are the most pressing for this upcoming election. The first question also serves as an introduction to each candidate and it is followed by 9 additional issue specific questions. Don't forget, City elections are April 15, 2014! Introductory question: What is it that sets you apart from other candidates? I am truly a people’s candidate with no conflicts of interest whatsoever. I have no interest in running for higher office, and like my campaign motto, I want to be “Your Voice in the ‘Boro“. I understand the role of a City Councilman is to represent the residents and city employees, not outside interests. I was raised in the country and I take a common sense approach to governing. 1. Introductory question: What is it that sets you apart from other candidates? I feel I am a well-rounded candidate with no conflicts of interests. As a husband, father, and small business owner I have a vested interest in making sure our City remains a great place to raise a family and make a living, but I am not beholden to any specific industry or special interest group. My goal is to be the most accessible candidate in this race and, if elected, the most accessible member of the city council. I will not forget who I work for and my first responsibility, to serve the taxpayers. 2. Do you support expanding or abolishing the automated red light camera program and why? Axl David: I would do whatever it takes to immediately end the city’s unsafe, unethical, and unconstitutional photo enforcement program. Along with that, I would work with the city’s Streets Division to explore solutions that actually reduce red light running; such as strobes in the red lights, amber beacons to warn of an upcoming signal, speed breakers, speed tables, etc. Conversion of intersections to roundabouts almost completely eliminates fatal accidents (source: U.S. Federal Highway Administration). One simple, cheap, and effective solution is to add black backplates to the signals so that they’re not “lost” in the sky. These are present at a lot of signals in Murfreesboro, but not at the signals at photo enforced intersections. According to the Michigan Department of Transportation, daytime visibility is increased by a staggering 33% when black back-plates are installed. Brian Patterson: I fully support abolishing the red light camera program for two primary reasons. One, it is effectively removing millions of dollars out of our local economy and transferring the bulk of those funds to a company based in Arizona. I want to keep those dollars here in Murfreesboro. Second, I have yet to see any data that conclusively proves they are making us safer. The City’s own data doesn't prove it. In November of 2014, the City will vote to renew its contract with American Traffic Solutions. If I am elected, I will vote NO on that extension. 3. Currently the City is $241 million in debt (excluding retirement liabilities etc.) and we add between $25-50 million in new debt each year. How to do you propose addressing this issue? Axl David: The first and obvious step is to reduce non-essential spending. It is unacceptable that Parks and Recreation continue to dominate the city’s budget, while we need to go further in debt to pay for basics such as schools and police. In my opinion, the city’s leadership is not properly prioritizing their spending. One solution I feel strongly about is privatization of non-essential services, as long as it can happen without laying off city employees. Recently, in Lawrence, Indiana, the city began contracting out their trash collection department. The company contracted by the city hired every employee that worked for the city‘s trash collection department, doubled the salary of half the employees, and significantly increased their benefits package. The best part is the company charges the city hundreds of thousands of dollars less than the city spent on trash collection. Private businesses operate better and more efficiently than government. Brian Patterson: First of all, I am eager to see the latest CAFR report (Comprehensive Annual Financial Report) in order to get a definitive answer on the current status of our UAALs (Unfunded Actuarial Accrued Liabilities). I have received conflicting information on what that amount is, so it’s difficult to answer with complete confidence. Whatever the amount is will determine how aggressively we should cut spending in order to deal with our debt and liabilities. Assuming that the UAALs don’t pose an immediate threat, we can reign in spending in a few ways. First, we must do a better job of prioritizing spending. We don’t need to be building $23 million parks, $105 million Greenway extensions, or $3 million tennis courts while we are a quarter of a billion dollars in debt. (All of those things we are currently committed to undertake). I don’t mean to pick on Parks and Rec, but that department is currently our fourth largest annual expense, and is on pace to overtake our Fire Department as the third largest budget item. We must remember, parks are a luxury item, and they should be prioritized as such. Second, I would like to see us incentivize savings within our City staff. We should be offering performance bonuses for department heads who are able to come in under their projected budgets. Bonuses could be distributed by those department heads to their staff as they see fit. This could provide a two-fold benefit, monetary savings as well as providing a tangible criteria for the, often debated, performance based raises for City employees. Third, I feel it’s time we explore the possibility of privatizing some of our services. If we allow private businesses, as well as city employees, to bid on contracts for some of our non-essential services, I am confident we can find some savings. Again, I am not opposed to city operated services, but by introducing a competitive bidding process, we can undoubtedly increase efficiency and lower costs. 4. On top of the debt, for the past two years, the City has operated with a deficit of around $4.9 million/year. Would you support or oppose a requirement that each future budget be balanced; that is to say, deficits will not be allowed except perhaps for extraordinary circumstances? Axl David: With our current debt approaching $250 million, any deficit spending is unacceptable. I would support a requirement that future budgets be balanced, with reducing our debt being a priority. Brian Patterson: Assuming “extraordinary circumstances” could be defined adequately, yes I would. Anytime we consider measures such as this, we are forced to acknowledge a “never-say-never” possibility. With that in mind, I would have to be satisfied that the “extraordinary circumstances” would provide us with the flexibility needed to deal with a real crisis. I would never want to put our City in position to be hurt by rigid bureaucracy. 5. The City receives millions in state and federal grants each year for our schools. It is a well-established fact that under current conditions the City cannot build new schools without large amounts of grants, loans, and additional debt. Do you feel this is acceptable and what could we do to put us in a position to better pay for new schools? Axl David: Of course I don’t feel it’s ideal for the City to borrow money. Unfortunately with schools, there are so many factors far outside of the City’s control. Borrowing, and accepting grants, for schools in today’s climate are often a necessary and uncontrollable evil. 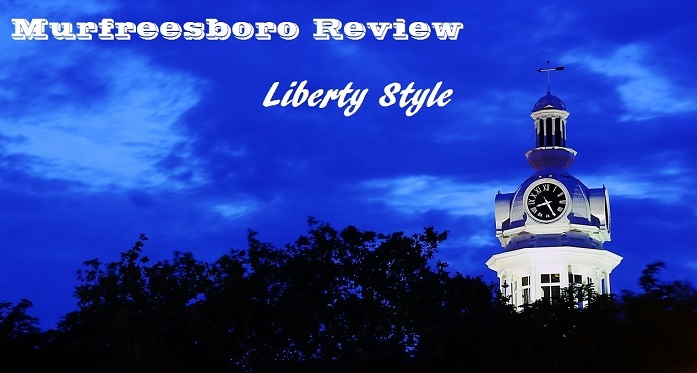 The City could mitigate some of the damage by prioritizing the Murfreesboro City Schools budget over departments such as Parks and Recreation, and working with the elected school board members. Brian Patterson: Again, prioritizing spending would be a great place to start. Most everyone would agree that schools should be a higher priority than Parks and Rec, yet in FY2013 Murfreesboro spent over twice as much on its P&R department than on its own schools. Based on our projected growth, new school construction will be an ongoing need. Knowing that, we would be wise to budget accordingly. I don’t want to see us dependent on state and federal funds for our own schools, as those funds often come with “strings attached”. 6. In 2013, the City approved a 25-year “Master Plan” to expand the Greenway system well beyond City limits. To achieve this, the City will engage in wide-spread eminent domain. Is the use of eminent domain an appropriate use of government force for the building of recreational facilities? Axl David: I believe the Master Plan was designed assuming that the City will have annexed most of the land within the Urban Growth Boundary within 25 years. Eminent domain for any reason, especially for recreational purposes, is unacceptable and I adamantly oppose it. Master Plans, by design, are often planned assuming the best case scenario lasting for the next 25-100 years. They are often lofty because of negative externalities anticipated; such as a recession, population loss, etc. It is important to note that Master Plans are not legally binding in any way and City officials should be flexible as economic conditions dictate. Brian Patterson: Absolutely not. Recreational facilities are luxury items. Private property rights should not be violated for such non-essential projects. Eminent domain was intended to be used in limited circumstances for critical infrastructure. If elected, I will passionately defend property rights. In my view, the concept of private property is fundamental to the American way of life. 7. The City spends around $13 million each year on parks, recreational facilities, and golf courses. This makes recreation the 3rd largest budget item for the entire City government. The City also spends hundreds of thousands, split between two departments, simply to manage Civic Plaza and the parking garage. Cities across the nation, like Sandy Springs, Georgia, have begun privatizing non-essential services or entering into private-public partnerships in an attempt to save tax payer’s money and increase the quality of the services provided. Do you think we should take a serious look at finding new ways to do business, like privatizing a limited number of services, or do think that we should continue along our current path? Axl David: As explained earlier, I do believe in privatizing some non-essential city services, only if it can be accomplished without laying off city employees. Sandy Springs, Georgia is an affluent bedroom community to Atlanta, with a median income average almost twice that of Murfreesboro. Although it could be a model for some privatization of non-essential services, there are significant differences between the cities that should be taken into consideration. Brian Patterson: As I stated in a previous answer, I do think it’s time we begin a bidding process for city services. I want to emphasize that I want to see the City’s current departments get the opportunity to enter bids along with private businesses. Competition is a good thing, and it is the best way to make services more efficient and lower the cost to taxpayers. One thing to note in the Sandy Springs, GA comparison, that city was basically starting from scratch in building its governance. Obviously, we are in a different situation, so I think the best way to approach it would be to systematically work our way up the ladder from smaller services to larger ones. This would allow us to experiment with the process, and provide quantitative feedback on its effectiveness. 8. Murfreesboro has grown at an astounding rate over the past few decades. Would you be in favor of implementing district representation for Council seats? Axl David: I believe in a mixed-system with district representation, while still maintaining some at-large seats. Murfreesboro has grown at an astronomical rate, and has maintained a lot of diversity with several unique neighborhoods. A city as large and diverse as Murfreesboro needs district representation. One downfall of district representation is there tends to be more tension and vote-trading among representatives of different districts. This is why I believe there should still be limited at-large representation. Brian Patterson: Yes. I think it is time for a hybrid system of district seats and at large seats. We are blessed to live in a dynamic city that has enjoyed tremendous growth over the past decade, both in population and in commercial development. Because of this, different parts of our city now face diverse needs and challenges. Certain parts of the city might be facing traffic issues and re-zoning efforts. While others may be struggling with a higher crime rate and a lack of sidewalks. All of these concerns are valid and should be addressed by city government. These areas need representation from their own neighborhoods. It stands to reason, our City Council should be made up of representatives from different parts of the city. This is how government is structured at the county, state, and federal levels. It is a fundamental part of a representative democracy. Unfortunately, as it stands now, all Council seats are elected “at large”. While that may have been effective when our town had a population of 30,000 people, it is certainly not the best way to represent a city of over 110,000. Amending our city charter to mandate district representation is vital to assuring that the people of Murfreesboro get the representation they deserve. 9. Currently, citizens are only permitted to voice their concerns directly and personally to the full City Council during public hearings, and only if their concerns are related to the subject of the hearing. Do you support or oppose opening up a portion of each Council meeting to the general public to allow citizens to address the Council for any concern they may have? 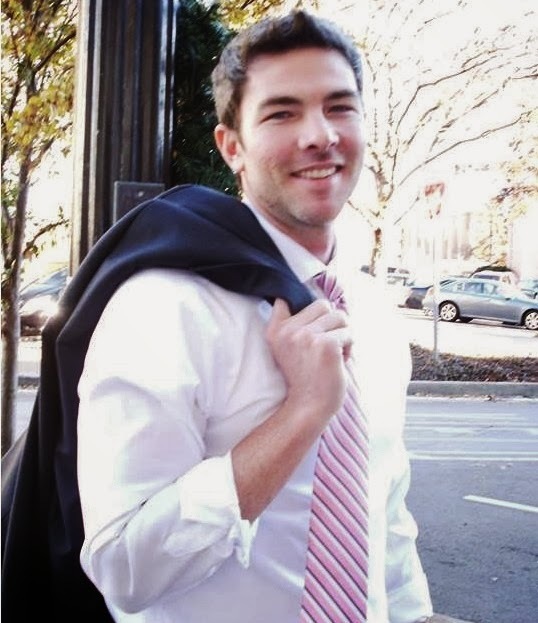 Axl David: The first time I went to a Murfreesboro City Council meeting, I had intended to use the Public Forum to address my concerns with the City’s red light camera program. I left shocked that the City does not allow this, as it is commonplace at nearly every city and county meeting in the country. Refusing to listen to the citizens is anathema to a functional elected body. I fully support having a Public Forum at the council meetings because the very foundation of an elected City Council is to listen and represent the citizens. The City should also arrange a way for residents to submit recorded statements if they are unable to attend City Council meetings due to a disability or other extenuating circumstances. Brian Patterson: Yes! The first job of a council member, is to serve the taxpayer. In essence, it is an employer/employee relationship. With that in mind, how can a council member justify not allowing their boss to address them? I would love to see a public comment section at the end of every council meeting. It should be open-ended, with each speaker allowed three minutes to address the council. 10. What are your thoughts on entering into a “metro” form of government with the County? Axl David: I oppose any kind of consolidated city-county government with Murfreesboro or Rutherford County. I have heard no compelling evidence that this type of arrangement is beneficial or desired by residents either within the city limits or in the rural areas of the county. Brian Patterson: I am against it. I've heard the “efficiency” argument from advocates of metro, and I understand their views. The problem is, larger governments never operate more efficiently. Whatever administrative costs they initially save, they more than squander in bloated bureaucracy as time progresses. I firmly believe that the more local the government, the better. Below, is the contact information each candidate has provided.